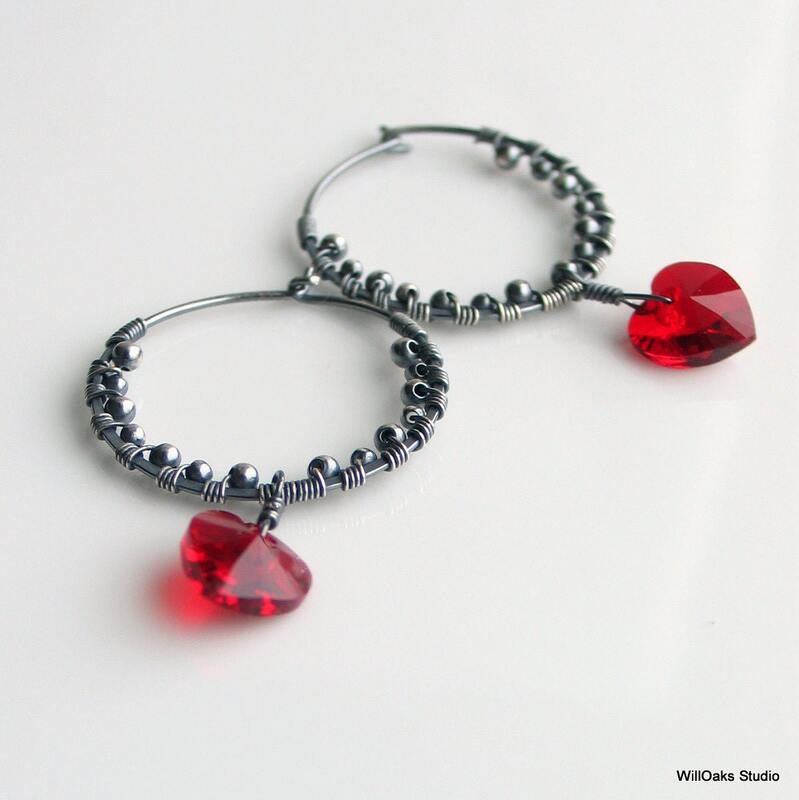 Textured sterling silver hoop earrings are artisan made and oxidized to hold red crystal hearts. 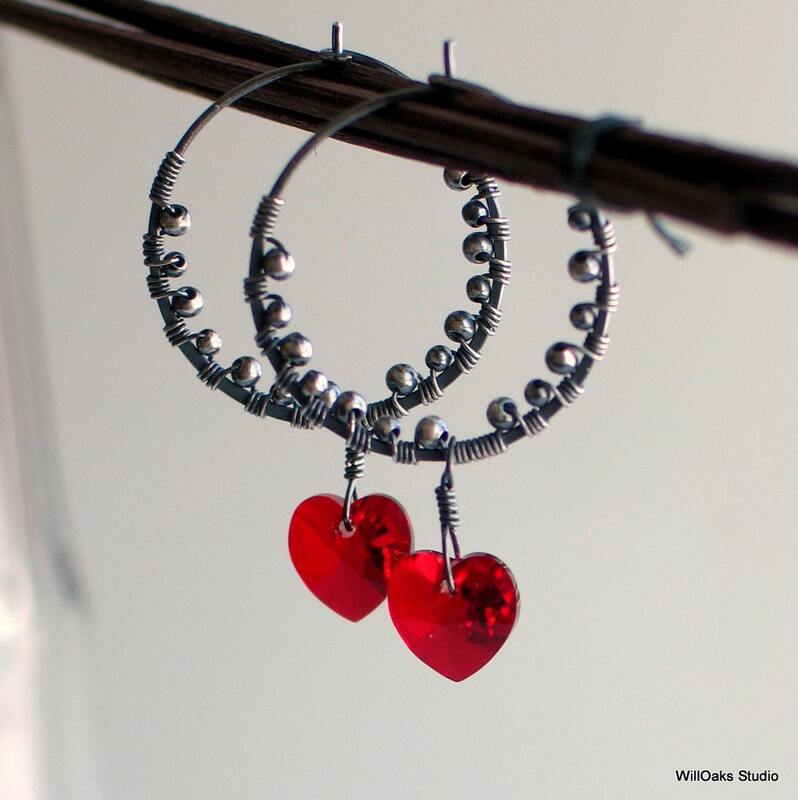 Perfect gift for her, lovely for Valentine's Day, red earrings to cross seasons for business and for fun. 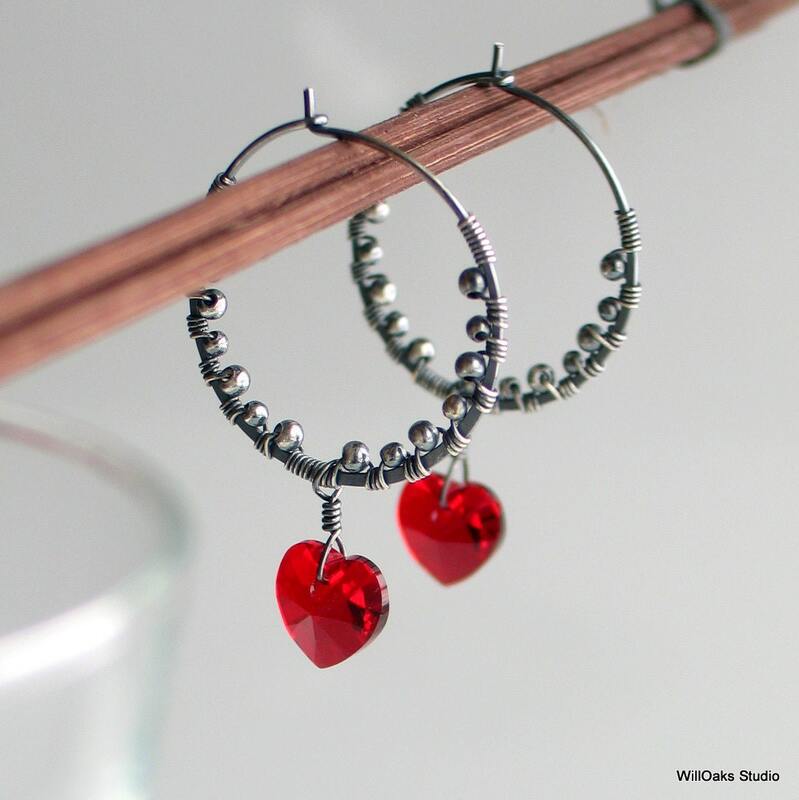 Forged sterling silver hoops are embellished with wire wrapping and small sterling beads trapped to create a rich dimensional pattern. The designs are oxidized, buffed, and tumbled for strength and shine. 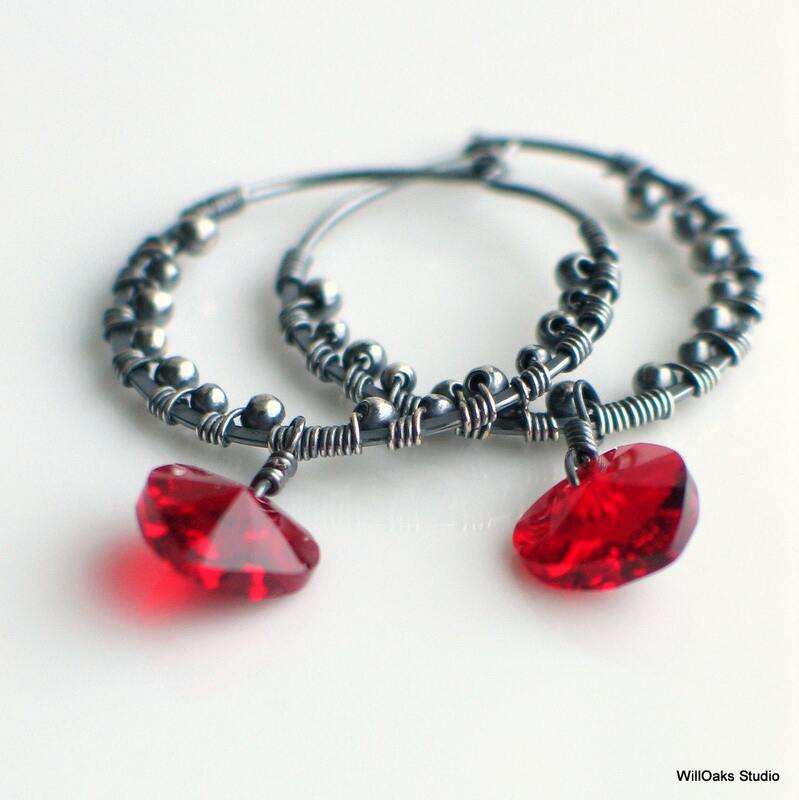 Bright red Swarovski faceted crystal hearts are wire wrapped to dangle freely from the bottom center of the textured hoops. The rich handmade texture of my hoops is in sharp relief thanks to the oxidized treatment of the sterling silver together with selective buffing. 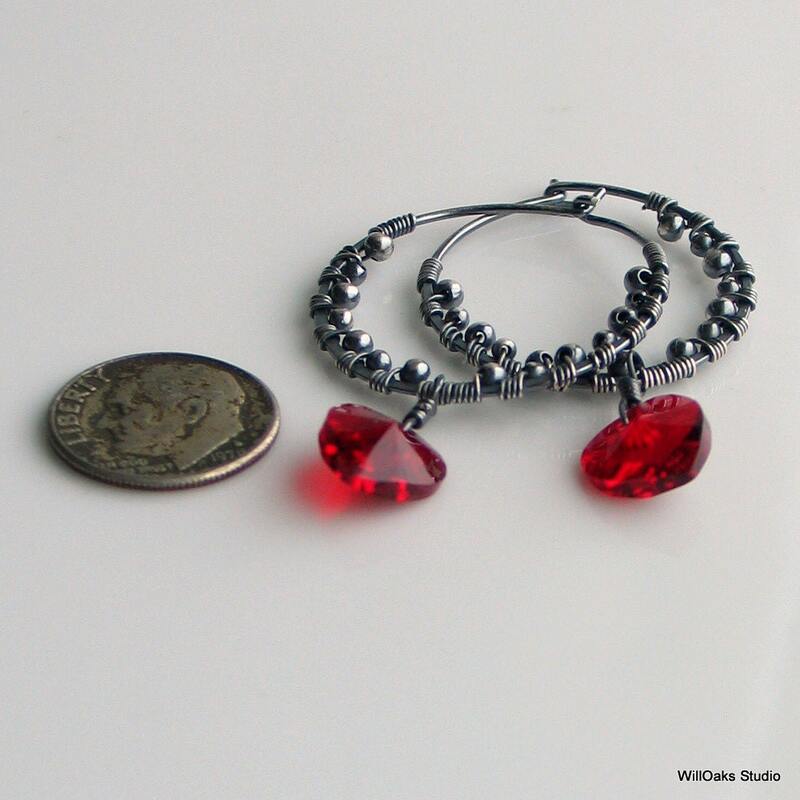 This dark hoop setting is perfect for the red hearts, about 10 mm x 10 mm each. The hoops are about 1" wide and 1 5/8" long. They come packaged in my signature gift box and are ready to ship. I'm happy to use a different color of Swarovski crystal heart--amber, green, purple, a few shades of blue, rose-in place of red. Please drop me a note via Etsy convo as I'd be happy to customize your special earrings at no additional cost!